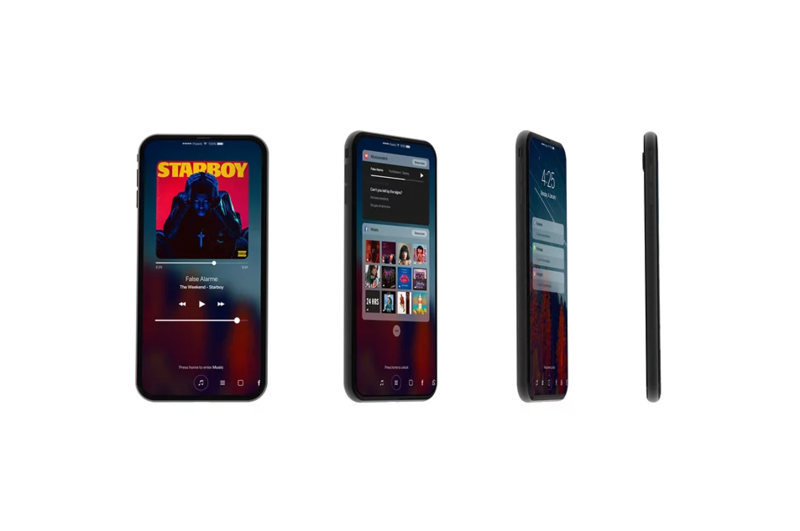 With Apple upgrading the design of the upcoming iPhone 8, and with different reports calling it the iPhone Edition, the latest rumor popping up reveals information that the smartphone might bear a similar design language to the Galaxy S8. Samsung’s flagship is going to be announced in a couple of hours, so it looks like we will know the full extent of what to expect from the radically changed iPhone 8. A changeup of the iPhone from its current lineup obviously means that Apple is going to be taking a huge gamble with the exterior of its iPhone 8. Previous rumors have consistently stated that the upcoming phone will sport a near bezel-less display, as well as saying that the Home button might cease to exist completely. 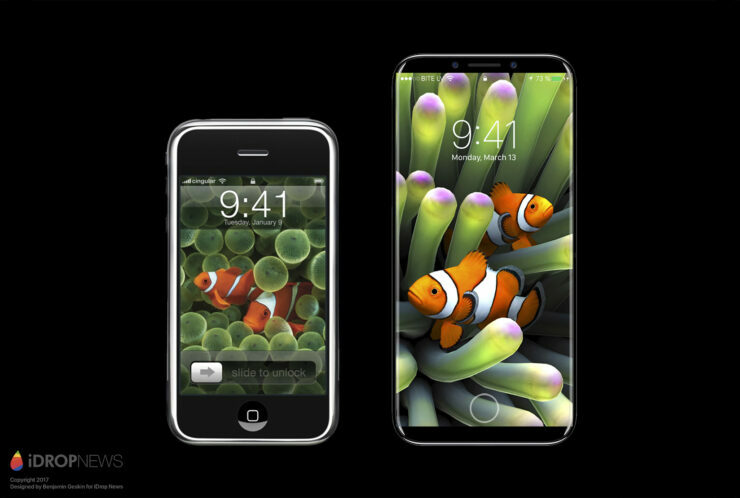 Whether it is going to be mounted at the rear side of the phone or embedded within the display, is yet to be seen. 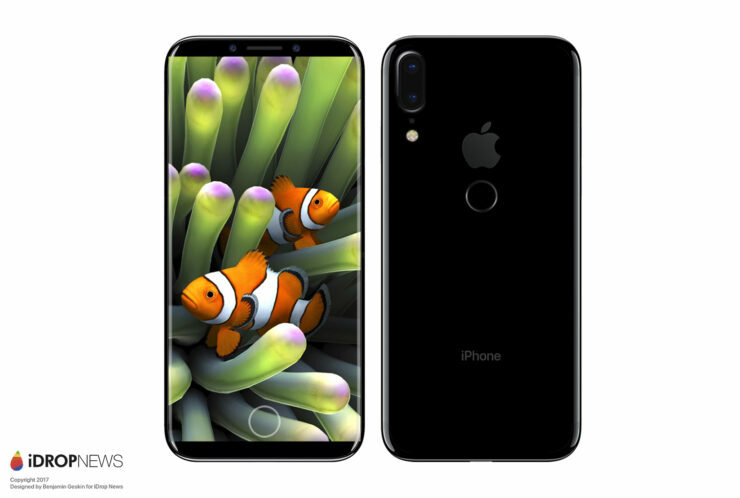 For now, the latest information coupled with renders provided by iDrop News state that sources that have spoken to a Foxconn employee and they have said that in addition to sporting a brand new look, the iPhone Edition will also have dual-lens setup. However, what is going to be different about this lens setup is that they are going to be arranged vertically. This approach is most likely going to be implemented when you want to get better depth of field from your snapped images. With the iPhone 7 Plus featuring a horizontal dual-lens configuration, most of the detail when shooting in ‘Portrait Mode’ ends up getting blurred if it is not a near-perfect shot, so it is possible that with the introduction of this particular setup, the hurdle is eradicated permanently. Apple has also been rumored to switch from LCD to an OLED display, which will result in higher level of brightness, rich colors, not to mention contributing a small amount to higher battery life. 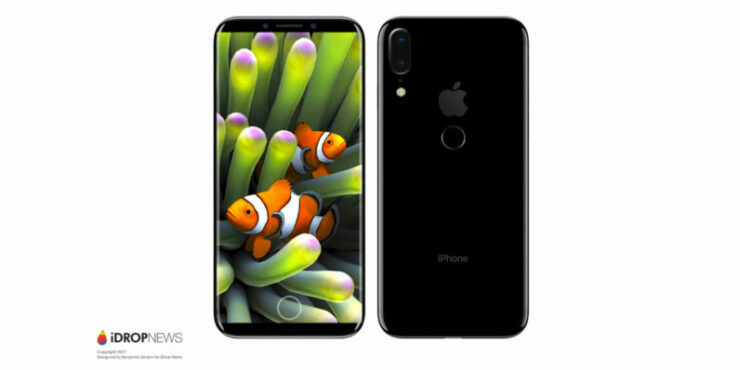 Alongside the iPhone 8, we will also be seeing the iPhone 7s and iPhone 7s Plus, which are expected to follow the same design as its predecessors. How did you find these renders and the rumors that came with them? Let us know all your thoughts in the comments below.